Securitas has acquired the commercial security services business contracts and assets of ISS Facility Services in Norway. Securitas and ISS Facility Services have agreed to closely cooperate in delivering high-quality integrated facility services to both Securitas ‘and ISS’ customers in Norway. In addition, Securitas has acquired ISS Facility Services’ security business in Norway, with annual sales of approximately MSEK 60 (MNOK 50) and approximately 100 employees. 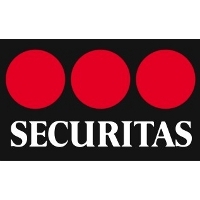 The acquisition is consolidated in Securitas as of September 1, 2012.